Twice a year, Dacula High School hosts site visits where we open every classroom in the school to visitors from around the state and country. Click above on "Site Visits" for more information. 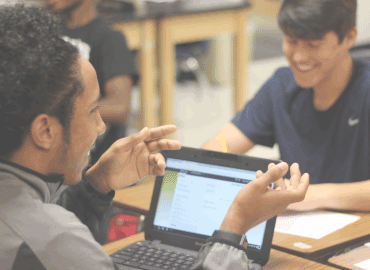 Dacula High School’s Culture and Climate Programs are designed to create a positive culture to learn and work. 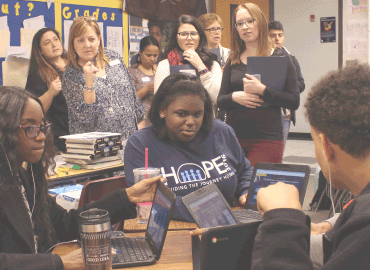 Click above to learn about Big Board (PBIS done right for the high school level), The Learning Center, Dacula Way, and SOAR. Check out this feature on Senior Track & Field student athlete Elsie Igberaese. Way to be a GAME CHANGER! We send out monthly newsletters to our parents and community. Check out the March recap in our most recent edition! Need to meet your counselor? Stop by their office and make an appointment or browse through their resources online. 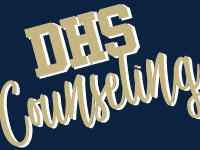 Counselors are also available every day during lunch on the TLC hall! Click the button for more info! Yearbooks are on sale! Make sure you buy today to ensure you get the lowest price! Click the button to purchase now!